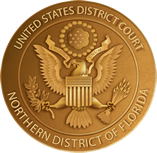 This Order establishes the case schedule for the five cases originally filed in the Northern District of Florida prior to the entry of the Order allowing direct filing. This order governs counsel's ex parte contact with Plaintiffs' treating physicians. This Order adopts the parties discovery stipulations regarding the scope of general causation, search terms, custodians, relevant time period for searching custodial documents, adverse event database format of production and search terms, source files, PDC minutes, depositions, and OPC's readiness plan. This Order appoints Cathy Yanni as Settlement Master on recommendation of the Joint Settlement Committee. This Order adopts the parties’ proposed schedule for OPC’s 30(b)(6) deposition and motions schedule. This Order extends the deadline for the Joint Settlement Committee to submit a proposed settlement master until February 6, 2017. This Order appoints attorneys to the leadership structure previous established and creates a Plaintiffs' Fees and Common Benefit Fund Committee, an Electronically Stored Information Sub-Committee, and a Science and Expert Sub-Committee.